I hope your week is off to a great start. Today is my turn over at the CheapoDies.com blog. I am sharing a pretty card I created with their Exclusive Teapot Die! Here’s a look at my card. It is a standard A2 size card, top folding and from a white cardstock base. 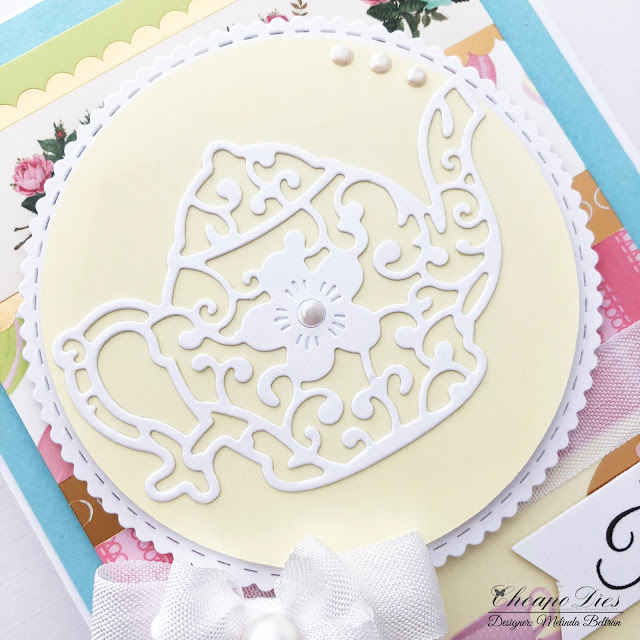 The pretty patterned paper is from the Craft Smith Garden Party paper pad. 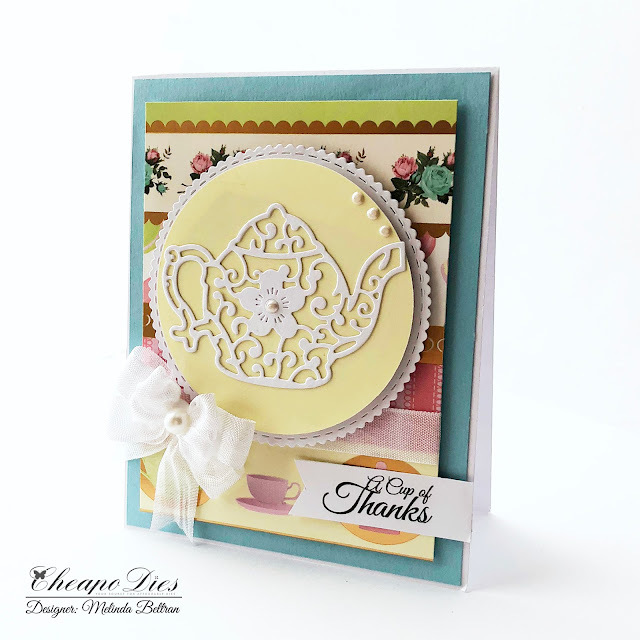 Here’s a closer look at the beautiful teapot die. I just love the delicate flourishes and design of the die. It is also worth noting that it cut out very well considering all the intricate details. I layered it onto a soft yellow paper that also came in the paper pad. I love the soft and subtle look I placed the die and the yellow circle onto a scallop stitched circle die cut from white cardstock. You can also see that I added a few drops of some white liquid pearls for an extra decorative touch. Here’s a closer look at my sentiment. It is one of the sentiments I designed that are part of today’s free digital printables I created. 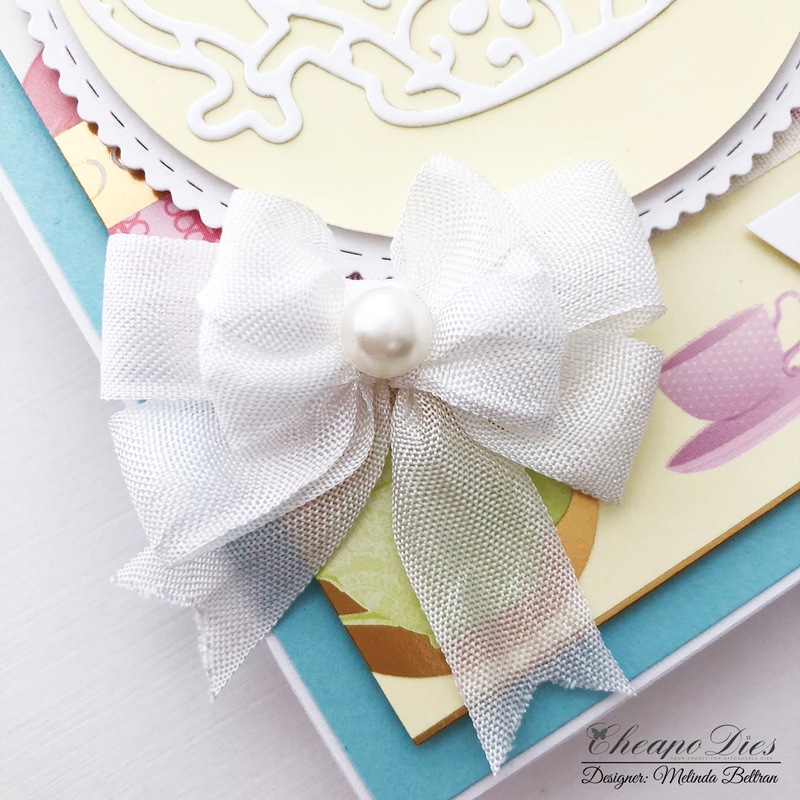 I finished of my card by adding a border and double bow of seam binding ribbon. I added a flat back pearl for a finishing touch. 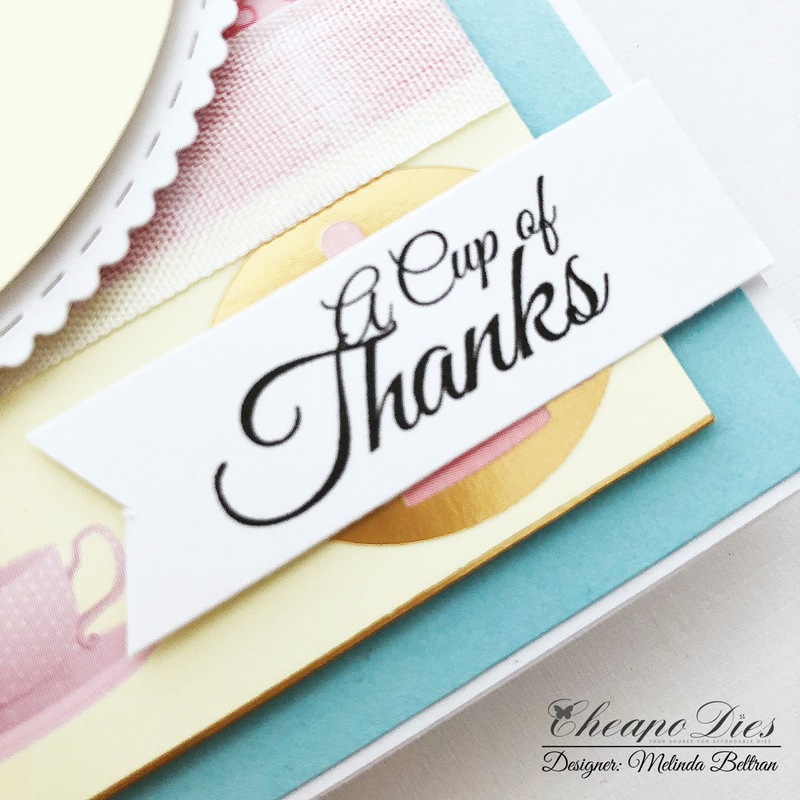 I am offering this cute little set of printable sentiments I created for free for a limited time. Be sure to head over to the Cheapo Dies shop and pick up some of these wonderful dies!